Plans are proceeding very well for the upcoming Talloires Network Leaders Conference in Cape Town, South Africa on December 2 – 4, 2014. Please mark it on your calendars – TNLC 2014 promises to be a very energizing and influential event. I encourage my fellow presidents, vice-chancellors and rectors to take advantage of this unique opportunity to work together to chart the next stage of the international higher education civic engagement movement. We encourage you to bring a faculty or staff leader and a student leader as well to this important gathering. 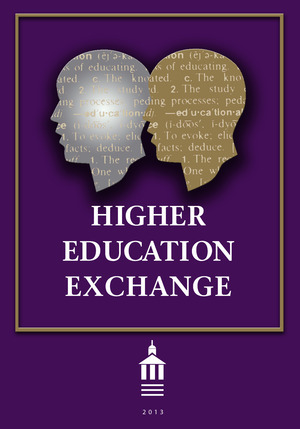 Emerging themes include: policy advocacy, faculty rewards and incentives, and defining and measuring student learning outcomes. I would also like to inform you that that the Talloires Network Steering Committee will be meeting by conference call later in February. The agenda will include introductions of the new Steering Committee members, a discussion of the Secretariat’s work over the past six months and an in-depth discussion about planning for the Talloires Network Leaders Conference. If you have any recommendations of items that you would like to see included in the meeting agenda, please contact the Talloires Network Secretariat (talloiresnetwork@tufts.edu). In an effort to develop capacity building in the area of Community Integrated Teaching & Learning (CITL), AUN USR&S@AsiaEngage will be organising a Community Integrated Teaching & Learning Workshop on the 26-28 February 2014. This workshop would be led by Madam Maria Lourdes F. Melegrito, a member of the AUN USR&S Steering Committee and Director of the Centre for Social Concern and Action (COSCA) from De La Salle University, Philippines. At this workshop, participants would be equipped with relevant theories, concepts, tools and exemplary models of CITL. Similar to a discipline-based CITL class, this workshop integrates various teaching methodologies like lectures, structured learning activities, simulations, discussions and actual community service experience. Reflection tools used in CITL courses will also be used to process the experience of participants in this workshop. This workshop is open to all academics and university-community-industry engagement practitioners across ASEAN and Asia. 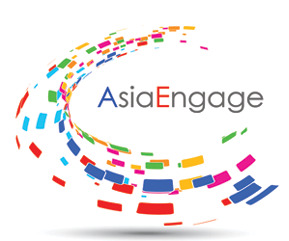 Contact the AsiaEngage Secretariat to learn more. The first of three FSPD Webinars, The Developing of an Integrated Strategy for Community Development, will be held on Thursday, February 13, 2014 from 3:00 PM – 4:15 PM UTC. For more information on this webinar or the other two in the series, please click here. The deadline for nominations for the fifth annual MacJannet Prize has now passed. Thank you to everyone who submitted a nomination this year. The Talloires Network received 59 nominations from 50 universities in 21 countries, representing the diversity of our membership. The MacJannet Prize recognizes exceptional student civic engagement initiatives based in Talloires Network member universities around the world. Three prizes will be awarded: 1st Prize ($7,500), 2nd Prize ($5,000), and 3rd Prize ($2,500). Winning programs will be profiled on the Talloires Network website and in communications that reach thousands of higher education professionals worldwide and will be invited to take part in an awards ceremony at the 2014 Talloires Network Leaders Conference in Cape Town, South Africa in December, 2014. We look forward to announcing the winning programs in early May. 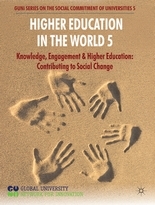 9th International Congress of Higher Education. University 2014. Havana. Cuba. 10 – 14 February 2014. Convened with the declaration “For a Socially Responsible University”, University 2014 renews the commitment of people attending these events with University and with its time, propitiating current reflections and debates on the field of Higher Education. Congress University is well known as an academic field that points to reflective, deep and open dialogues among main parts of Higher Education and the society they belong to, in order to evaluate best solutions to pressing problems in the realities of our countries. Plus, it promotes new ideas about different issues related to international agenda of Higher Education and contributes to new networks knowledge and emotions among principals, teachers and students. Learn More>>IMPACT National Conference. Valparaiso University. Valparaiso, Indiana. USA. 27 February – 2 March 2014. EUA Annual Conference 2014. Changing Landscapes in Learning and Teaching. Université Libre de Bruxelles. Brussels. Belgium. 3 – 4 April 2014.